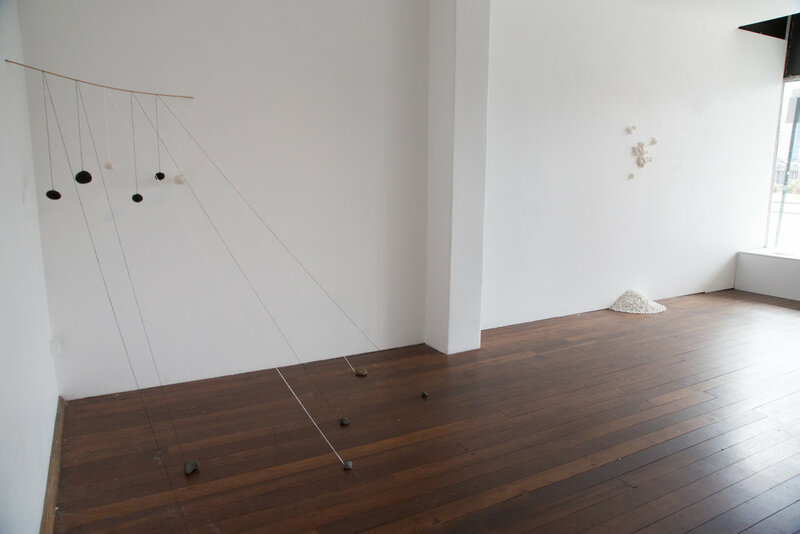 Asking the Stones Where to Begin was an exhibition of new work developed during a two month residency at Listhús in Ólafsfjörður. Located in the mountainous Tröllaskagi region Ólafsfjörður is a fishing town in northeast Iceland. 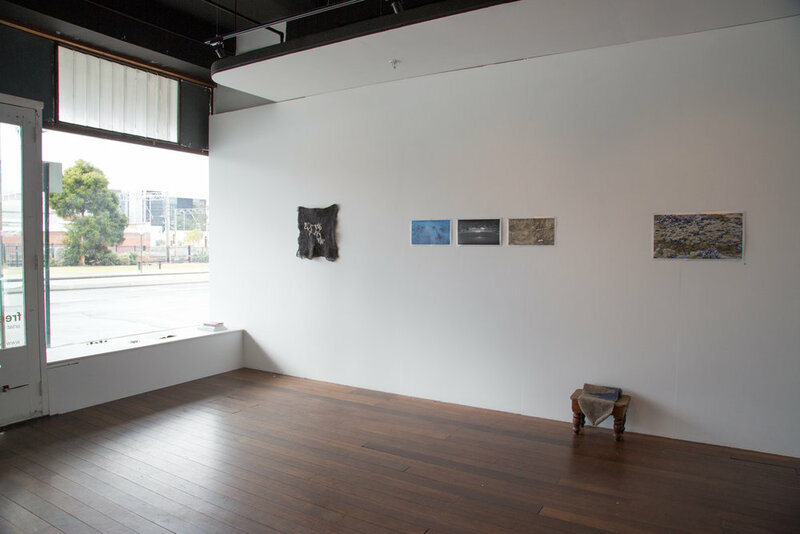 Image: Installation view, Asking the Stones Where to Begin. Photograph by Yvonne Doherty at Cirrus Photography. 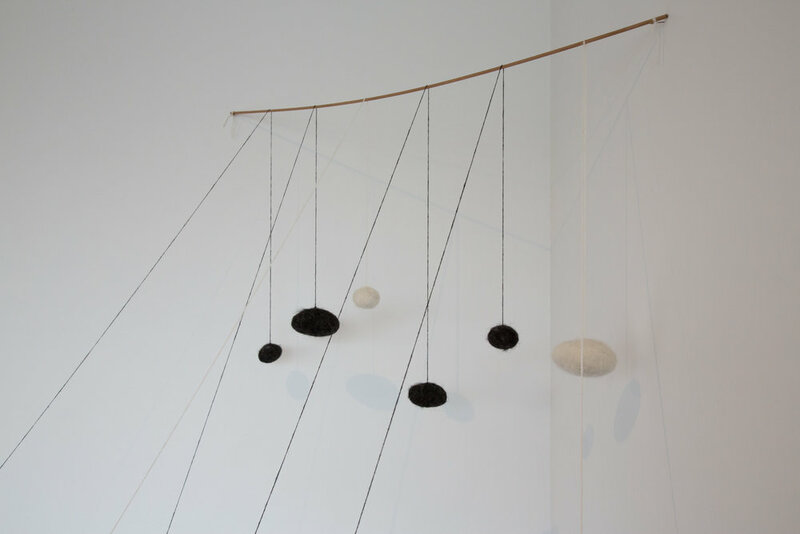 Asking the Stones Where to Begin is the first stage of a project exploring the physical and psychological landscape of this and other isolated regions. 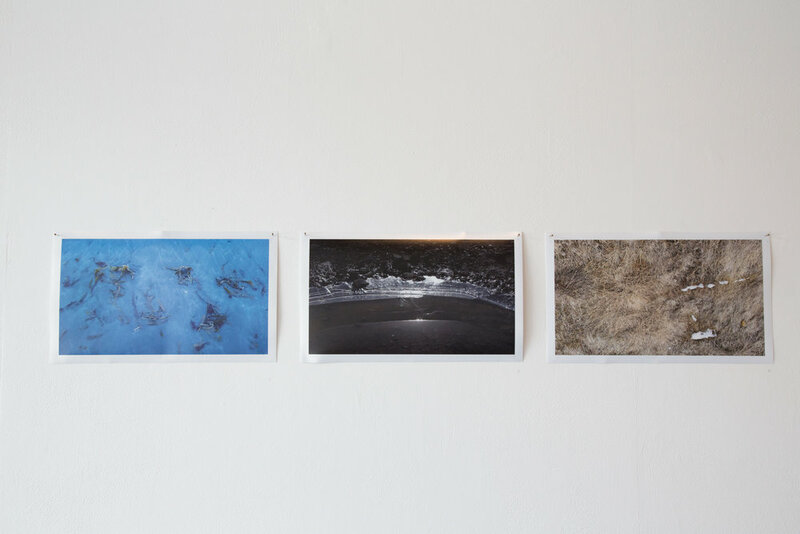 In this exhibition Bushby employs the use of Icelandic wool, photographs and natural materials. 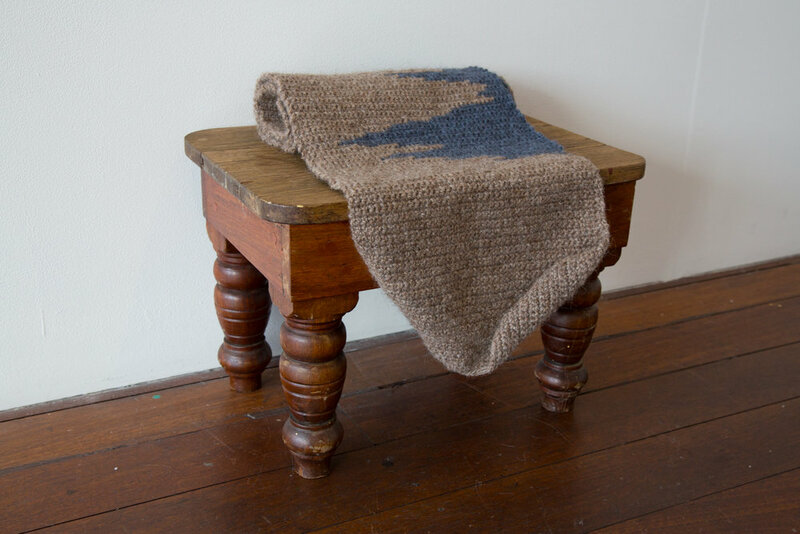 2016, hand-woven Icelandic wool, cotton and quartz pebbles. Photograph by Yvonne Doherty at Cirrus Photography. Visual diary kept during residency in Iceland. 2016, Icelandic wool and stone. 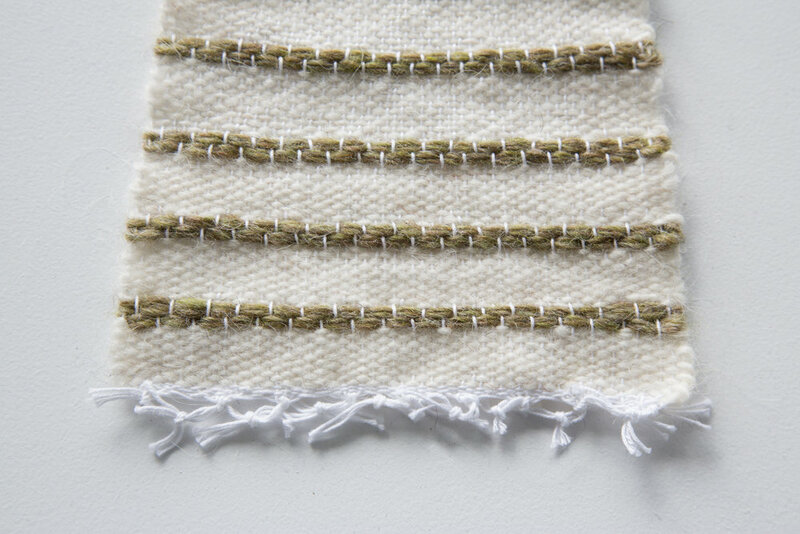 2016, Icelandic wool and cotton. 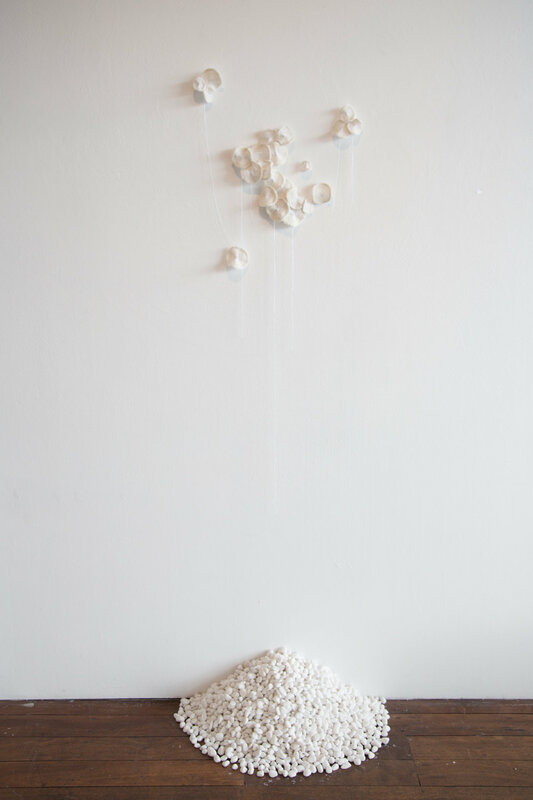 Installation view, Asking the Stones Where to Begin. 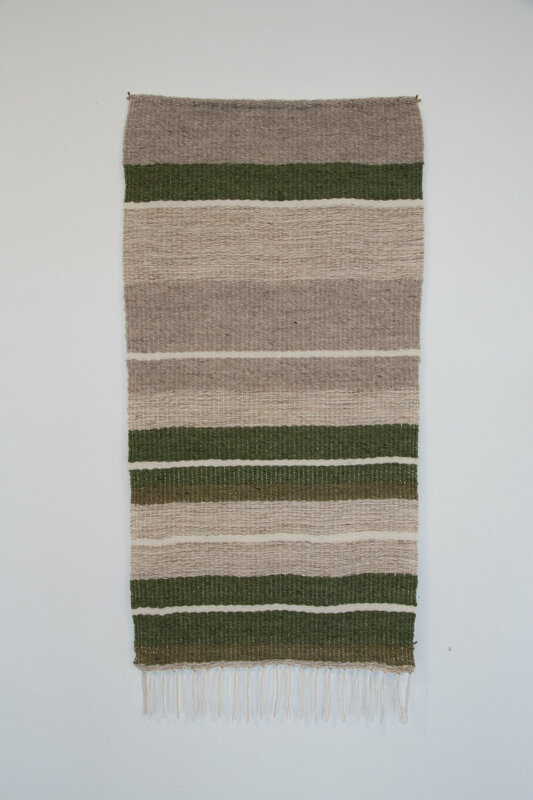 2016, wet-felted and hand-stitched Icelandic wool. 2016, Giclee print on metallic paper. 2016, hand-crochet Icelandic wool scarf. 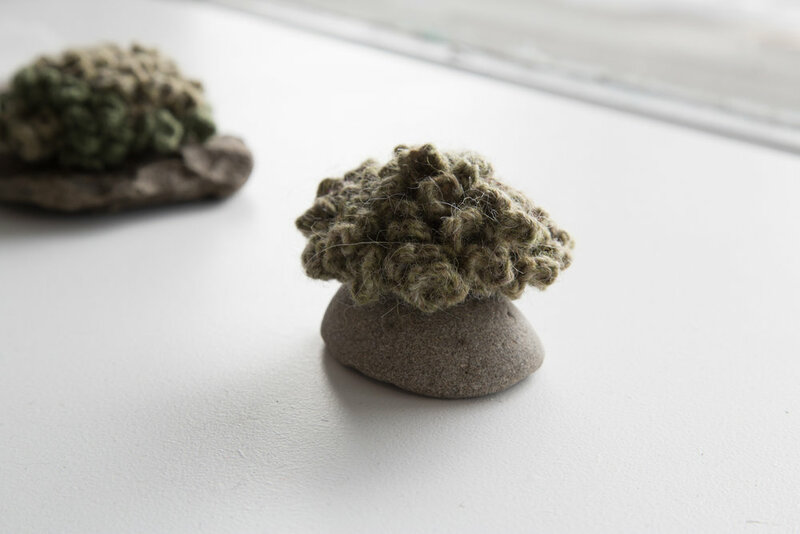 2016, wet and needle-felted Icelandic wool, stones and wood.